We are excited to announce the Oklahoma Republican Party's Victory Ball & Delegation Dinner! The OKGOP is hosting a Victory Ball to bring a taste of the Presidential Inauguration Ball experience home to Oklahoma! The event is black-tie optional, which means all the ladies and gentlemen may wear formal gowns and tuxedos--or just wear your favorite dresses and suits! The VIP Reception will include pictures and discussions with Oklahoma's Congressmen. Tickets for the Dinner and Ball include an incredible dinner, a cash bar, dancing, and lively conversation--all in the Ball Room of the Mayo Hotel in downtown Tulsa. Join our Congressional Delegation as we listen to the latest inside stories of President Trump's efforts to drain the swamp and help us celebrate our electoral successes at the state and national levels! 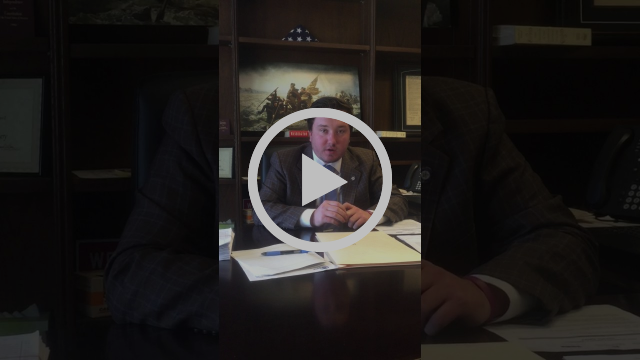 The OKGOP has launched a new interview series called Meet Your Legislator. Look for these short interviews on Facebook, on our YouTube channel, and in our Weekly Updates to get to know our legislators a little better! 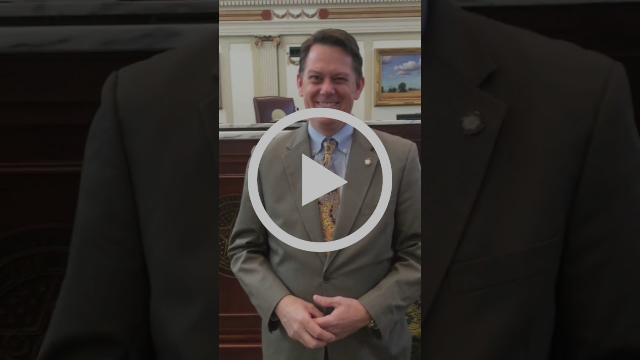 This week the OKGOP Director of Communications Bennett Beard interviewed Representatives Faught and Montgomery at the Capitol. The OKGOP depends on generous contributions from our fellow Oklahoma Republicans. Please consider donating to the Party to show your support for our Rebuilding Oklahoma publication series and Meet Your Legislator interview series! "History and experience tell us that moral progress comes not in comfortable and complacent times, but out of trial and confusion." March 9th Luncheon Meeting: Evelyn McCoy will speak. She is the Vice Chairman of the Oklahoma County Republican Party and OFRW Activities Chairman. April 13th Luncheon Meeting: Oklahoma State Auditor and Investigator Gary Jones and Executive Director of the Grace Center Lesley Dvorak. The First Capital Republican Women are having their meeting on February 13, 2017, which is a Monday. Meetings typically occur on the second Tuesday of the month. A potluck supper will also be held. For more information, call Teresa Turner at (918)-696-2757. The location and time will be posted on the Oklahoma County Republicans' Facebook page and on their website. The meeting will be held in the Okmulgee Conference Room in the Student Union at the OSU Institute of Technology. The County Convention will be on March 14, at 7:00PM in the same location. Wagoner County Precinct Meetings have been scheduled for Thursday, February 2nd or Tuesday, February 7th. All precincts except 108, 109, 301, 302 & 303 will meet on Thursday, February 2 at 7:00pm at the Coweta Church of God of Prophecy (123 West Sycamore Street, Coweta) It will begin as a joint meeting and then break out to individual precincts for business of the precincts. Precincts 108, 109, 301, 302, & 303 will meet on Tuesday, February 7th at 7:00pm at the Forest Ridge Baptist Church (8300 S. Oneta Rd, Broken Arrow, OK ). It will begin as a joint meeting and then break out to individual precincts for business of the precincts. "At one point in 2014, we had 11,500 children out of their homes..."
On November 12, 2015, Governor Fallin launched an initiative with the Oklahoma Department of Human Services called Oklahoma Fosters, which renewed our state's efforts to find foster families for the hundreds of children in state custody and coming into state custody. Its goal, simply put, is to recruit more foster and adoptive families. There is a particularly urgent need for more therapeutic foster homes, which means families who are willing to take in children with special health care needs, as well as kids dealing with emotional and behavioral challenges. 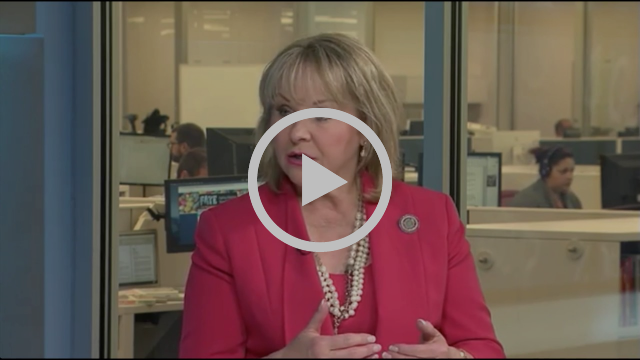 Today, there are nearly 9,600 children in state custody, and we desperately need the help of ALL Oklahomans. Oklahoma Fosters is a statewide campaign uniting state, tribal and local governments, businesses, nonprofits and the faith-based community to end the foster care crisis in Oklahoma. Since the launch of the Oklahoma Fosters campaign last November, we have seen exciting spikes in both the inquiries into becoming a foster or adoptive family, as well as direct applicants to fosters. During the last fiscal year, which ended June 30, 2016, we recruited 1,080 new foster homes. The goal was 1,054. We not only made the goal – we beat it in just 9 months. Also last year, 2,244 children were adopted out of the foster care system, the highest number in one year since 1998. We reached these goals because of the great partnership of the Governor's office, DHS, tribes, resource-family-provider agencies, community partners like the 111 Project and the mobilization of churches across our state. However, the need for foster and adoptive families continues. The goal for this fiscal year is 1,080 traditional homes and 172 therapeutic foster homes. For more information about the differences between traditional and therapeutic foster care, click here. A look at just a few of the problems facing foster children in America. In year two of the Oklahoma Fosters campaign, we must focus the need on more quality homes in the Northeast area of the state, including Tulsa, and more homes willing to take children and youth with physical disabilities. We also need homes willing to take teens and sibling groups. We have to continue to find ways to facilitate good people becoming foster parents. We have made progress in streamlining the application and approval process by eliminating unnecessary paperwork and getting background checks done faster. But we still have work to do and we cannot do this work without the community. It is not enough to merely recruit more foster homes--we have to retain the great foster parents we already have. This is the first time we have met the recruitment goals since the inception of the Pinnacle Plan, the result of a settlement of a class-action lawsuit filed against DHS and its foster care system. We agreed to make improvements in targeted areas within that system. The settlement agreement established an ambitious five–year plan to improve performance in critical areas such as reducing the use of emergency shelters for young children, increasing the numbers of foster families, increasing the numbers of caseworkers, reducing caseworker workloads and reducing the rate of maltreatment – abuse and neglect – in care. The expert monitors overseeing implementation of the Pinnacle Plan agreed in September to a joint request to extend the timeline to fully implement DHS’s reform efforts. The success of these reforms is critical to ensuring the state can provide adequate protection and care to vulnerable Oklahoma children. Oklahoma Fosters is just a part of our effort to improve our state’s foster care system under the Pinnacle Plan. The children who are in state custody are there through no fault of their own. These children need foster families to love and support them during their time of need. You may be just what they need. It is our wish that one-day soon Oklahoma’s children will no longer be waiting for foster or adoptive homes but rather Oklahoma will have an abundance of families who are waiting to welcome children into their homes. Support of biological parents and foster parents is truly everyone’s job, DHS can not do it alone. Foster parents not only assist us in nurturing the children in their care, but also assist in supporting the biological parents to get them the help they need to reunify their children safely back into their homes. Our number one mission is to keep the family together and reunify their children, although that is not always possible. How Can I Help Oklahoma's Foster Kids? Visit www.OklahomaFosters.com for further information. Invite an advocate from Oklahoma Fosters to speak to your community group, civic club, book club or even just to discuss these important issues with a small group of your friends. Become a Foster Parent - Individuals can get involved by going to the Oklahoma Fosters website – OklahomaFosters.com – and clicking on “Become a Foster Parent” for information on being a foster or adoptive parent. You also may call the foster parent hotline, 1-800-376-9729. Publications like this would not be possible without generous contributions from conservatives across our country and state. Thank you for reading and be sure to click the button below to donate! The OKGOP would like to thank Ashley Hahn and Cody Inman for their help in creating this week's newsletter and for providing the Party with all of the above information. Ashley Hahn and Oklahoma Fosters are responsible for the language and information contained in this publication. This incredibly important project would not have been possible without their participation. Next week's newsletter will continue to discuss ways to Rebuild Oklahoma's Families by covering criminal justice reform. Please consider getting involved with Oklahoma Fosters any way you can. Oklahoma's children deserve the best and WE all have to work together to ensure that they receive what they need to be successful. The OKGOP attended the Inaugural Events in Washington, D.C. last week. Among the festivities, the Oklahoma Republican Party attended RNC Meetings, The RNC Victory Reception at the Museum of Buildings, and the Southern Regional RNC Breakfast, along with many other events. Chairman Pam Pollard, National Committeeman Steve Curry, and National Committeewoman Carolyn McClarty joined their peers in electing Ronna Romney McDaniel to replace outgoing Chairman Reince Preibus, who has now joined the Trump Administration as President Trump's Chief of Staff. The staff also attended the 58th Presidential Inauguration, which was a very exciting time for our country! Please enjoy some of the pictures from our week in our nation's capital! The OKGOP team at the Victory Reception in the Museum of Buildings in DC. President Trump's Chief of Staff Reince Preibus addresses Republicans at the RNC Victory Reception at the Museum of Buildings. Bennett Beard, Hannah Morris, Chairman Pollard, and other Ball attendees pose for a picture with fellow Okies, Toby Keith and Barry Switzer, at the Oklahoma State Society Ball. There are lots of exciting events going on or coming up soon all across Oklahoma! The Speaker’s Ball benefits the Oklahoma CASA Association and features Tony Award winner, Kelli O’Hara. For tickets and sponsorship, visit www.OkSpeakersBall.com or call (405)-698-2879. Come celebrate President Pro Tempore Senator Mike Shulz at the Museum of the Western Prairie in Altus on January 31, 2017! May 6: 2017 Oklahoma Republican State Convention at First Moore Baptist Church in Moore, OK. The County Convention is scheduled for March 11th. "Freedom is never more than one generation away from extinction. We didn't pass it to our children in the bloodstream. It must be fought for, protected, and handed on for them do the same." Copyright © 2017 Oklahoma Republican Party, All rights reserved.